CHAMPION — Daniel Dane Kelley, 77, passed from this life to his reward in heaven on Friday, Aug. 3, 2018, after a courageous 12-year battle with cancer, at home with his family. He was born Aug. 8, 1940, in Tenmile, W.Va., a son of the late Lonnie Kelley and Gertie Reed Kelley. Daniel had been employed at ITT Grinnell Corporation as a laborer and then worked for King Brothers’ Concrete as a cement truck driver. He attended the Champion Church of God and was baptized by his pastor on July 12. He was a veteran of the U.S. Air Force. 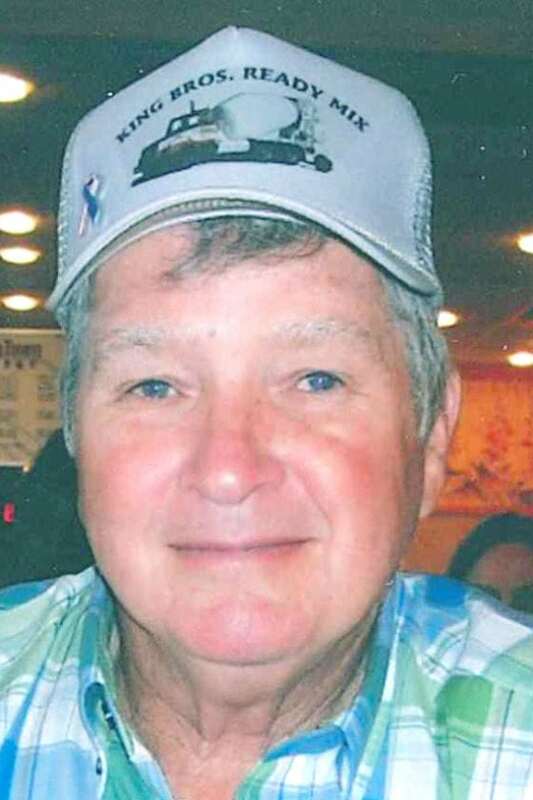 Daniel was an avid deer hunter and loved hunting with his brother-in-law Rick Adams on trips to West Virginia. He was a life member of the NRA and the North American Hunting Club. Daniel was proud to hold a U.S. patent for a boot warming apparatus for hunters. He also enjoyed woodworking, repairing lawn mowers and small engines, gardening and working with his hands. Most of all, he loved cookouts and gatherings with his family and friends. Surviving are his wife, Pamela Adams Miller of Champion, whom he married Jan. 19, 1982; daughters, Angela K. (Michael) Arnold of Cortland and Nancy M. (Stan) Spina of Holland, Mich.; grandchildren, Ashley Morrow of Warren, Marissa (Danny) Mate of Niles, Kevin (Julia) Arnold of Cresson, Pa., Ashley Spina of Holland, Mich., Kristin Spina (Josh Pastoria) of Cuyahoga Falls and Derek Arnold of Cortland; great-grandchildren, Ayden Grimm, Jordynn, Armonii and Neno Mate, and and Brooklyn Davis; a sister, Sarah Riffle of Buckhannon, W.Va.; and many nieces and nephews. He was preceded in death by his parents; nine brothers, Henry, Burl, Richard, Clinton, Harold, Marvis Ray, Lloyd, Lonnie Jr., and Jefferson “Jim” Kelley; and two sisters, Freda Tenney and Susanna “Sue” Landis. Funeral services will be 4 p.m. Tuesday, Aug. 7, 2018, at the Carl W. Hall Funeral Home, with the Rev. Dennie Land officiating. Friends may call 2 to 4 p.m. Tuesday, prior to the funeral, at the funeral home. In lieu of flowers the family requests that donations be made to the Hope Center, 1475 Niles Cortland Road, Warren, OH 44484, in his memory. This obituary may be viewed and condolences sent to the family on our website at carlwhall.com.